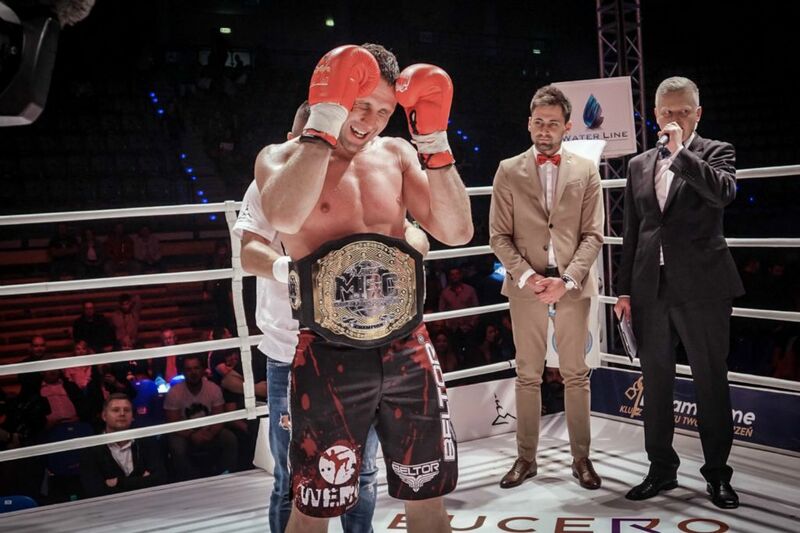 Paweł Wergi Jędrzejczyk won historic first MFC organization title.It was hard five roud battle with Surinam Guillermo Blockland. Nothing to talk about. Please watch pictures and movie.That’s what Paweł said after the fight..
“MFC Makowski Fighting Championship CHAMPION BELT IS MINE. EIGHT YEARS IN THIS RING, TEN FIGHTS AND I EARN IT. I’M FIRST MFC CHAMPION. WATCH ME I DIDN’T FINISH YET.OSU! You can see photo here.